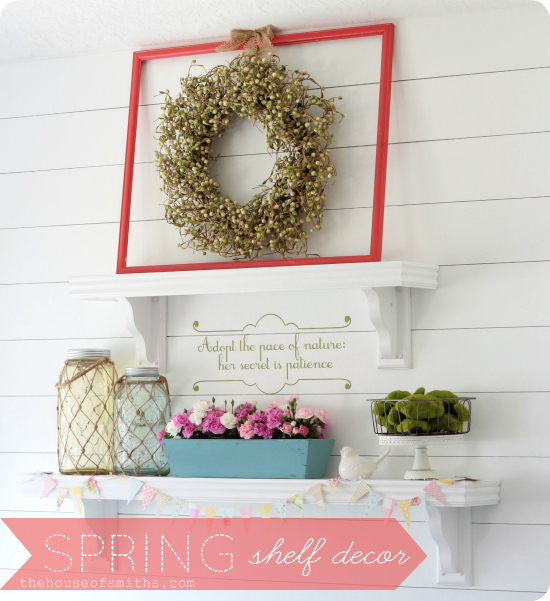 Spring Shelf Decorating + Spring Fling Link Party! 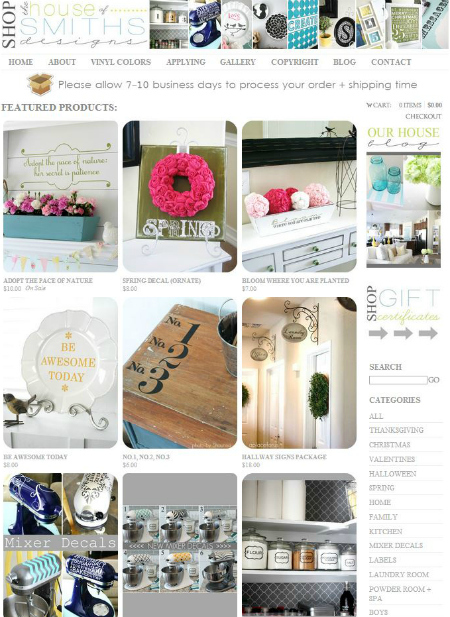 Just as I promised, our Spring shelf decor is finally all done and ready for us to share today! Don't get me wrong, the holidays are great, but I'm extremely excited to finally have decor on these shelves that can stay up longer than just a few weeks! 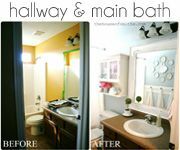 I wanted to keep everything really simple and clean, but full of Spring colors that I knew would pop really well against our white planked wall. I found these moss covered "rocks" (that are really made from light foam forms) at ZGallerie on clearance, so I picked those up and put them into a $3.00 basket that I found at Home Again consignment. These awesome, over sized, colored, netted mason jars were a new product from Down to Earth at Gardner Village and I immediately fell in LOVE with them. I knew I could use them as decor, straight into the summertime as well. The thin frame that I hung this green pip berry wreath over with a piece of burlap was one that I snagged up at a thrift store. You can spray paint an empty frame any color, to coordinate with your decor. 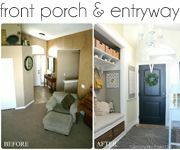 It's a super inexpensive project and only takes a few minutes + dry time. I'd love to say that this cute paper pennant banner was my idea, but I'd be lying. ha! My really good friend Margie Aslett hosts online video craft idea workshops every few months and I took her "Spark your Spring" classes a few weeks back. 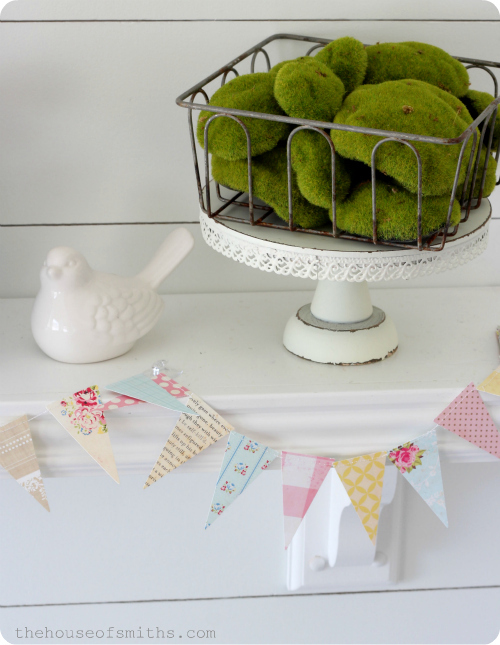 There were so many fun, adorable ideas for home and everyday crafting, and this pennant garland was one of them! Since Cason's been teaching Aubrielle how to sew, I commissioned them to assemble my little pennants together after I punched them out with my Fiskars punch. I have to say that I'm pretty proud of my little chick, who, for some reason, has taken to sewing and loves it! Cason is the one who taught ME how to sew, after I asked for a sewing machine a few Christmases ago (No kidding. His mom made him learn when he was young). I swear this guy has got an overabundance of patience to spare, so standing beside and helping Aubrielle, while she sews straight lines on her first pair of pajama pants, was something both her and him have loved to do together after she gets out of school each day. Typically our little 5 year old jumping bean has a hard time staying still, but surprisingly, will sit and concentrate on sewing for really long periods of time. I snagged this short little video of her assembling the pennant garland all by herself, because I thought it was so cute. the girl can barely reach the pedal. ha! While flipping through some books a little while ago, I came across this quote below and was determined to have it somewhere in my home. Unlike Cason, I struggle daily with patience. It's not that I lose my cool or get mad at anyone... I just have a hard time waiting for things to happen, or not getting a list of tasks completely done at the end of the day. 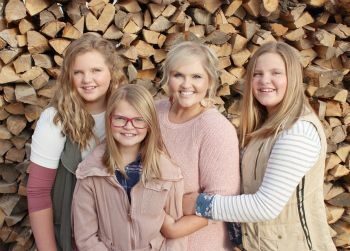 Cason frequently reminds me that slowing down, taking some time to let things work out on their own and not worrying about them, is sometimes the best way to get through my day. Easier said than done, for me, but I'm trying to embrace this way of thinking; because the latter only stresses me out. I designed this vinyl decal and put it in The House of Smiths Design shop, so that anyone could purchase it and have it for their home too... oh! and I also put it on sale! whoo hoo! 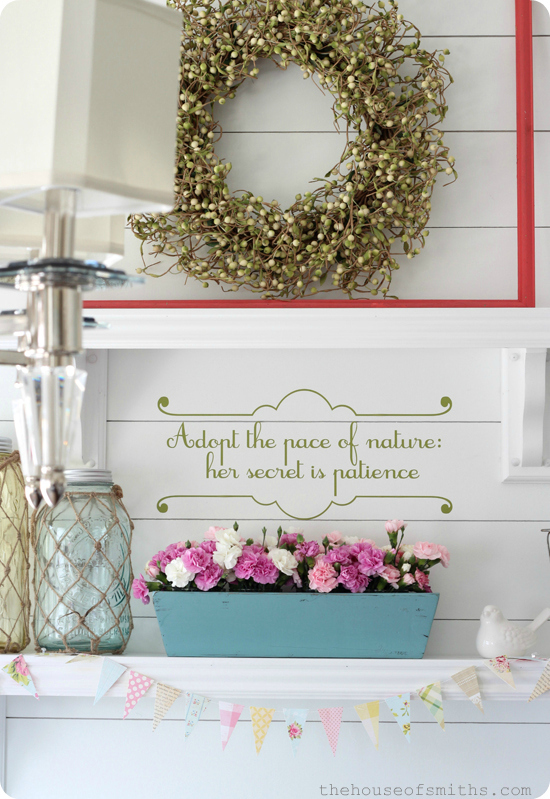 Okay, so now that I've shared some of our Spring ideas with you...I want to see YOURS! 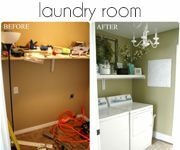 Have you done any Spring cleaning, reorganizing, decorating, DIY'ing or baking that you want to share with our readers!? Then link up your posts below! There really are no guidelines or requirements, I just think it would be fun for all of us to share what we've been working on lately. There are so many great posts out there that I know I'm missing, so do me a favor, and put them here, so we can all see them! 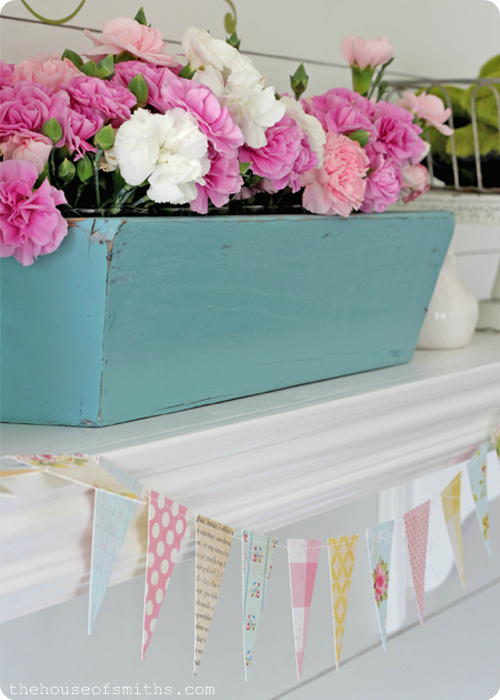 Love the blue/pink combo with the flower box... Spring colours just make you want to smile, don't they? i have subscribed to your emails for quite a while now and also "like" your page on fb. i just wanted to say tho i don't post much, i so enjoy following your blog and watching your family grow. you are such an inspiration to me. thank you so much for all you share. i love everything you post about. Your spring decorations are adorable. That's so wonderful how well your daughter has taken to sewing. Your spring shelfs are beautiful. I especially love how you framed the wreath. This is really one of my favorite blogs. Everything you share I love. I love that your daughter is into sewing! I bet she love how acomplish she feels when she makes something of her own - and that's what gets her to sit still so long! 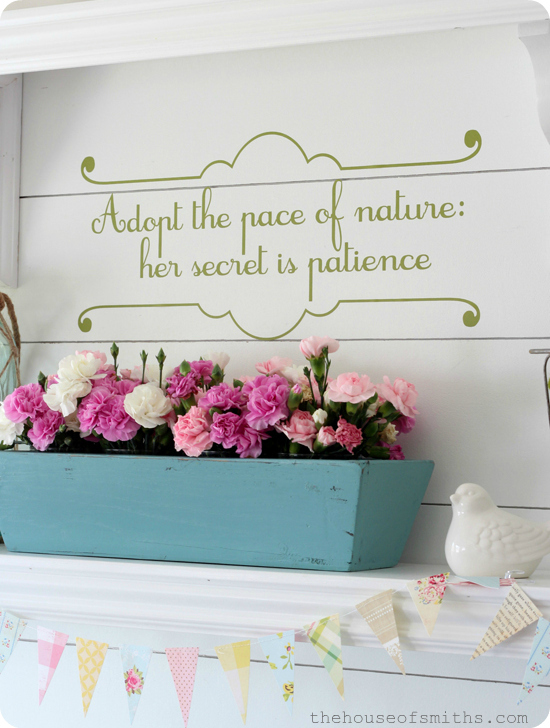 I ADORE your spring decor!! That video is SO stinkin' darling!! What a sweetie! Thanks for letting us link up! So pretty! Are flowers real? Where did you get or make the blue wooden crate? 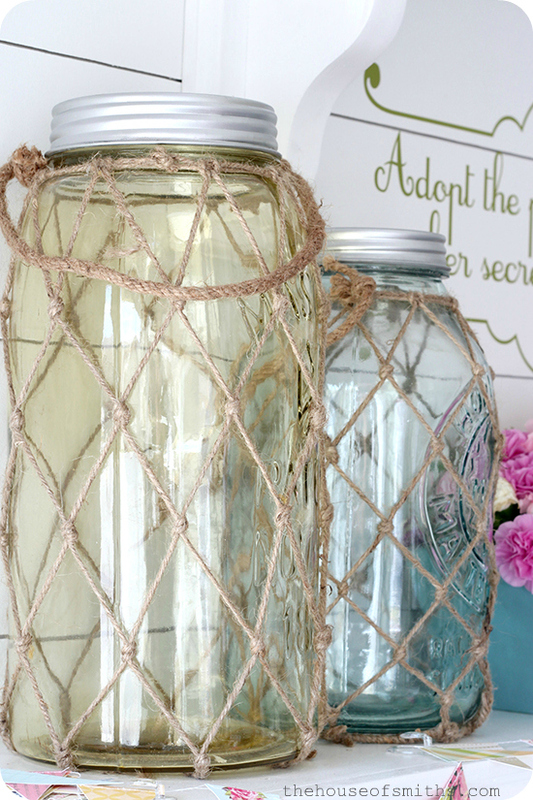 I was looking at this recently and saw your post... DIY knotted twine mason jars? Yes, please! So adorable! I don't think I've ever heard that saying before, love it! I saw those mason jars somewhere earlier today (retail site) and thought they might be easy to make. What a great idea for a party. I posted about some simple Easter/spring decor I did. I also made a little pennant/banner for my fireplace. Except I did mine out of paper and my daughter helped with the sewing too. Love having a helper/fellow crafter. Love your shelf! You can definitely leave this up until summer rolls around! ha ha! I was thinking that someone was going to have to come up with a tutorial for the twine on the mason jars, but I see that it's already done. Thanks! As always, your shelves are so gorgeous! Please stop over and style my entire house the next time you're in the Pittsburgh area. ;) Thanks for hosting a spring link up, too--how fun!! Hope you're having a wonderful week! It's so cheery and springy! Love it all! The video is so cute!! Love it! Thank you for hosting Shelley! Your projects are all SO inspiring! Thanks for hosting! I can't seem to find your blog button to link back. Thanks for hosting the party. I love your Spring decor! So light and fresh! Have a grea week! Diggin' the jars! Great post. 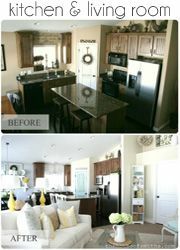 I don't think I can stop googling over your dining area. it's always so lovely! I shared a bright space today. Perfect for spring! What a breath of fresh air. Love the Spring decorations. That banner is so cute, your daughter is so darling sitting there at the sewing machine working so hard. Great job. 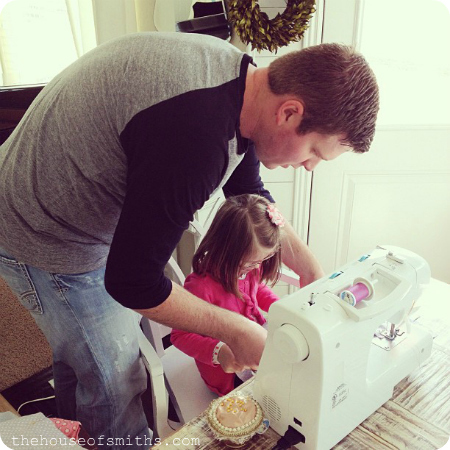 That picture of those two sewing just melts my heart!! 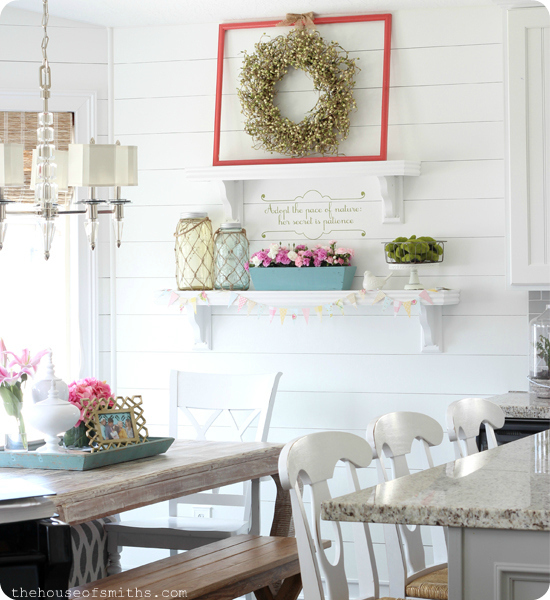 LOVE your spring decor Shelley! I always love your ideas...you are truly an Inspiration!! Thanks! I look forward to your mantle decorations every Holiday!! LOVE THEM!! this is so bright and happy! !